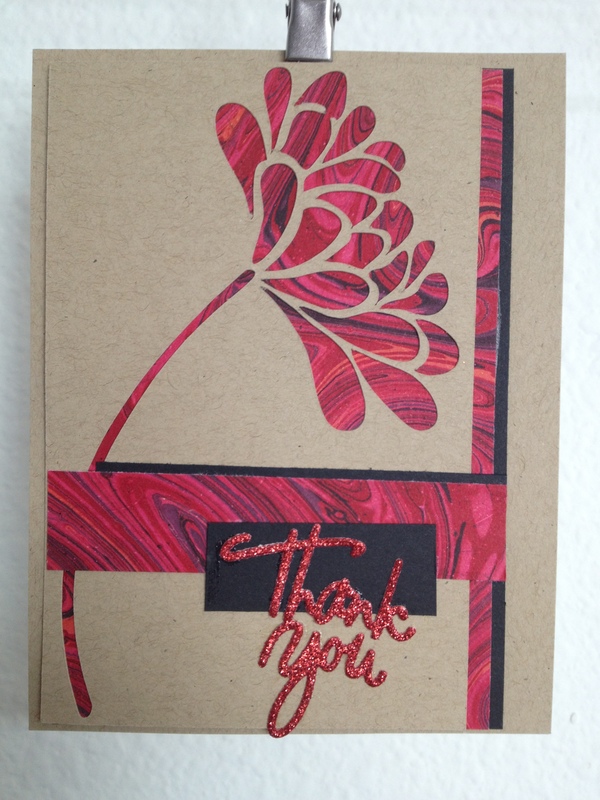 This red card uses the negative space left after cutting out the flower shape. It always looks like this type of design is really hard and took a lot of fussy cutting or gluing, but the fact is it couldn’t be easier. Cut the flower design out of Kraft cardstock, back with your favorite designer paper (or in this case marbled paper), add other embellishments and the card is done. 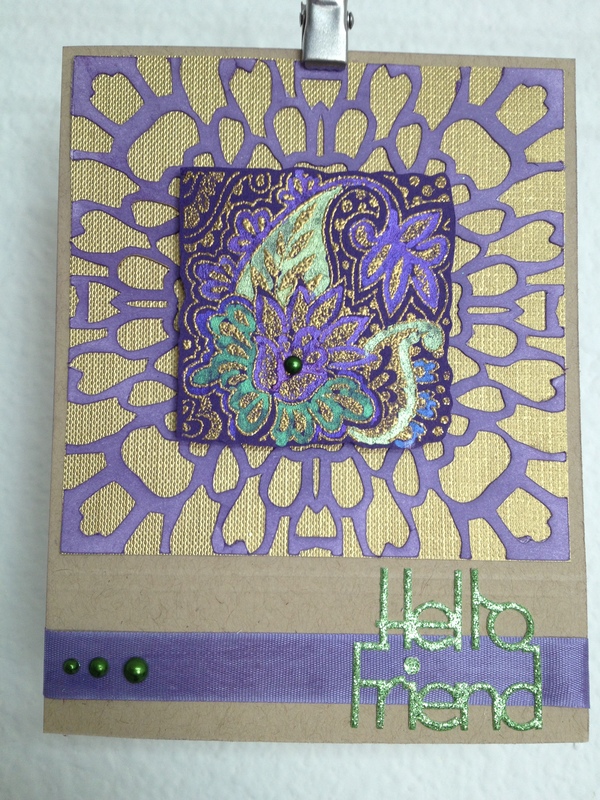 Adding dimensional adhesive to the flower panel gave some extra interest to the card. Do any of you have a basket full of die cuts or stamped pieces that never quite make it to the front of a card? Well I do, and this card is the result of determination on my part to use several pieces in my basket. The paisley square, the background lace, and the sentiment were all lost pieces looking for a home. I colored the lace with Distress Ink and then layered it over a gold metallic paper so that it pulled the background and the paisley square together. The glittery sentiment matched the green PearlEx paint on the square- yay! I had had the purple ribbon for a very long time and hadn’t used it because the color never seemed to match anythingI was working on. It was really a serendipitous thing that it was exactly the right color as well. One more week of Kraft Mania left. I would love to see what you have been doing with your Kraft cardstock!